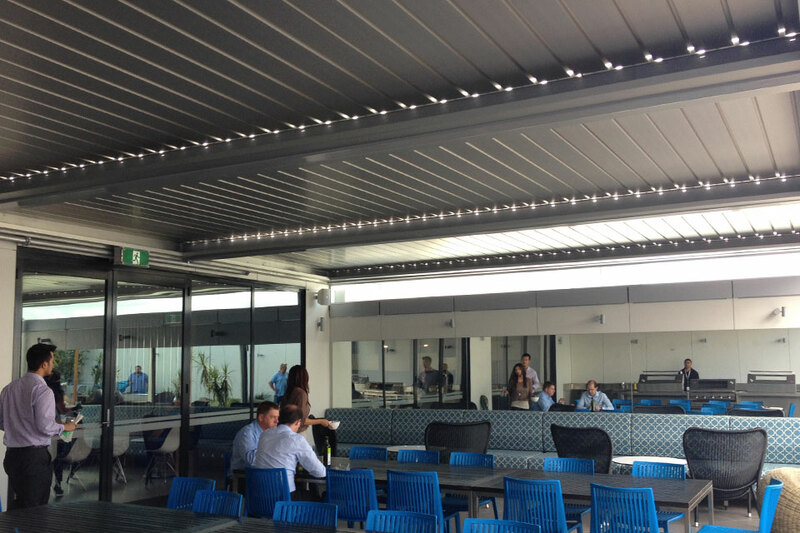 VW Australia has recently installed Aerotech Opening Louvred Roof Systems to there second floor alfresco space. These newly constructed facility will be used by all staff members and visitors. The SkyMax Aerotech Opening Louvred Roof Systems ensures all guests are protected from the ever-changing weather conditions, while allowing for total control over the light and ventilation of the area. SkyMax is the #1 Australian brand in automated weather protection, specialising three decades in the design and manufacture of quality Retractable Roof Systems, Integrated Heating, Lighting, and External Blinds. SkyMax is now offering The Ultimate in “Open Air Culture Experience”.